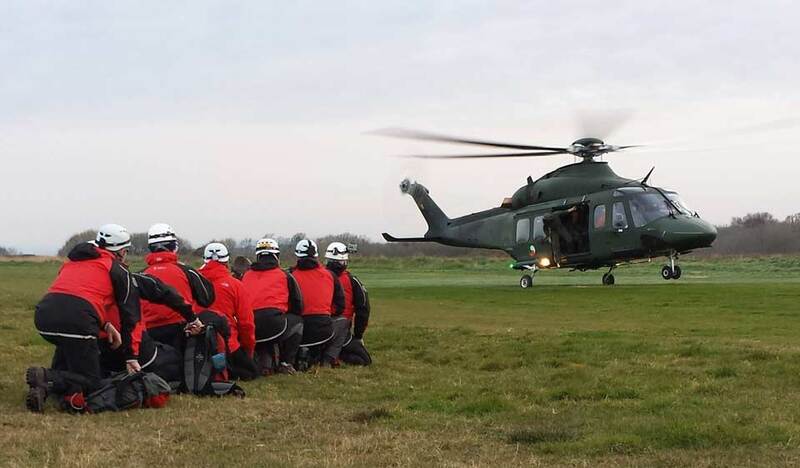 Members of Dublin Wicklow Mountain Rescue Team (DWMRT) joined up with their neighbouring Glen Of Imaal MRT and the Search and Rescue Dogs Association for some intensive helicopter training with the Irish Air Corps last Sunday, March 30. 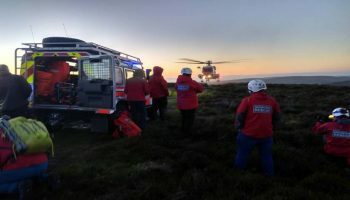 Some callouts require mountain rescue teams to work alongside the Air Corps, so it is vital that all members are familiar with the safety procedures involved. Training included class-based lectures in the National Park HQ before the more fun stuff of the drills with the AW139 helicopter. 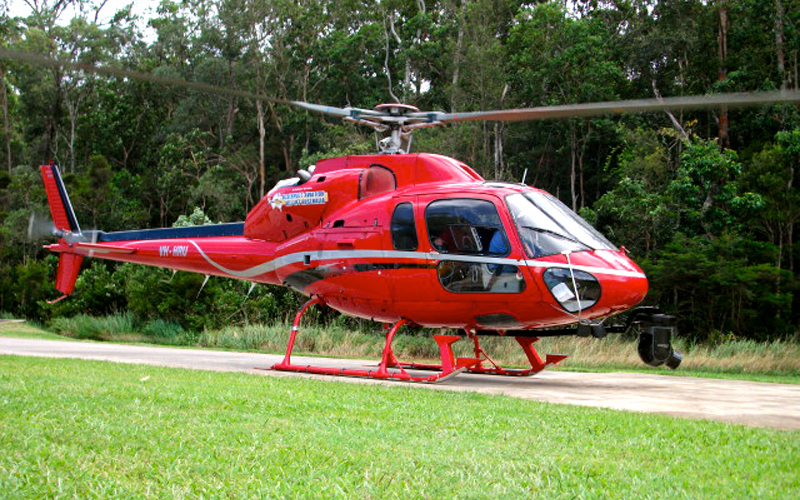 As the AW139 is a stretcher-capable helicopter, the teams would break into “sticks” (groups of 6-7 that would work with the helicopter at any one time) and practice dry runs, loading the stretcher and safely getting seated inside and exiting the aircraft. Once the ground training was complete, members advanced to full flight drills during the day and then at night. The session was well attended with 45 personnel and one search dog taking part. 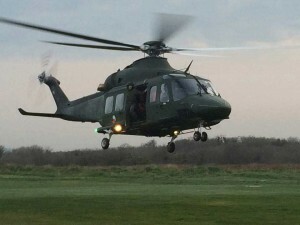 The team would like to thank the organisers Mountain Rescue Ireland but especially the Air Corps for giving such valuable training.